Negative Neurodynamic Tests Do Not Exclude Neural Dysfunction in Pts w/Entrapment Neuropathies. Neurodynamic tests are frequently used in the diagnostic workup of patients with suspected entrapment neuropathies. These tests are designed to elongate the nerve bed, therefore increasing strain on neural structures. Commonly used tests include the straight leg raise or slump test for patients with radiating back or leg pain or upper limb neurodynamic tests (ULNTs) for patients with radiating neck or arm pain. 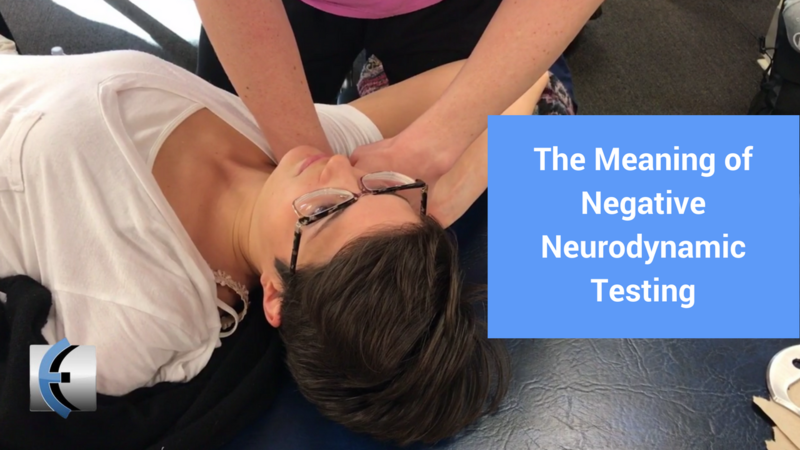 The clinometric properties of these tests are however weak, which is reflected in a subgroup of patients with normative neurodynamic tests despite a clear injury to their peripheral nervous system. A substantial proportion of patients with carpal tunnel syndrome (CTS) have negative ULNTs despite confirmed nerve involvement. The question arises why this discrepancy exists and whether there might be a physiological explanation for the presence of negative neurodynamic tests despite neural tissue compromise. The authors' finding that a significant proportion of patients with proven nerve involvement have negative neurodynamic tests is in line with previous studies. For instance, approximately 58% of patients with lumbosacral radiculopathy have a negative straight leg raise, and for CTS, the percentage of positive ULNTs varies from 18% to 72%. diminishing the likelihood for neural involvement. These findings however suggest the opposite, namely that negative neurodynamic tests may reflect the presence of a more pronounced dysfunction, specifically of unmyelinated fibers. Therefore, when diagnosing neural involvement clinically, neurodynamic test outcomes should not be interpreted in isolation, but in the context of a sound clinical reasoning specifically including neurologic integrity tests of the small unmyelinated fiber population.